An athlete on the top of his or her game needs neuro-visual responses that are dynamic, precise, and fully aligned every time, all of the time. Visit for an assessment. Sports Vision Training isn’t about correcting your vision. You wear glasses or contacts for that. Vision Therapy is about training (or retraining) the brain to achieve maximum efficiency in the way it processes and responds to visual inputs. Sports Vision is about training people with excellent vision to process and respond to what they see faster and better. Using a personalized and customized series of techniques and exercises, the brain learns to respond more accurately and efficiently. It’s just like muscle memory. Once you know and refine exactly how to react, you can do it, again and again, getting better every time. Vision is way more than how well you read off a chart. Having 20/20 vision doesn’t count for much if you can’t properly track a ball with your eyes, or anticipate where your opponent is headed. If you can’t intercept the play and turn it around, how are you going to succeed? Sport is all about the visual. The eye sees, the brain interprets and leads, and the body follows. 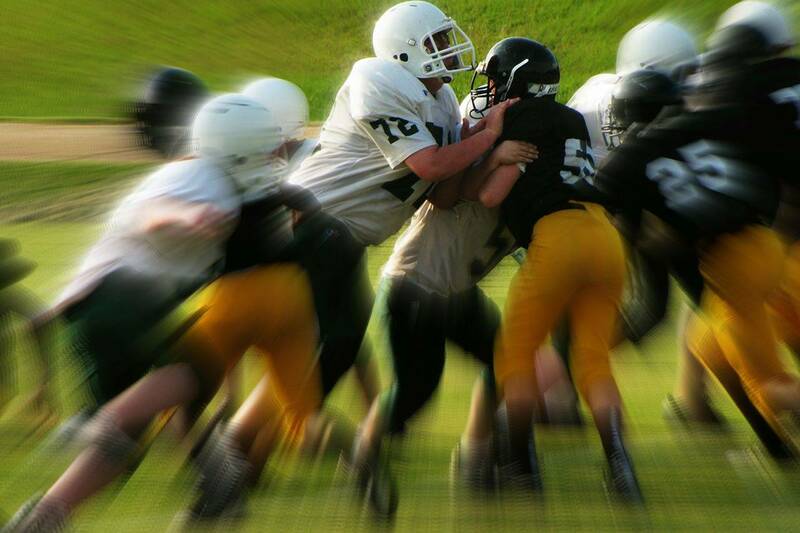 Coaches, athletes, and pundits alike need to keep in mind that visual processing our brain does is prone to fumbles. Incorrect, incorrect, or poorly timed responses are what hold back good athletes from becoming great ones. Even with the best coaching and tactics, sports performance can suffer if not properly honed. Bad habits need to be reversed, while positive skills need to be nurtured. This is what sports vision is all about. The visual system summarizes what is seen, then tells the brain to activate the muscles to execute a motor action. Vision directs the intelligent movement of the body (the eyes lead the body). The more accurate the visual system can take in and process visual information, the more accurate it can direct appropriate motor movement. What Happens When our Visual System is Inaccurate? You CAN optimize, correct, and enhance your visual skills through training! Be the athlete you know you can be. Let help. The vision/brain skills listed below provide significant benefit in every sport. For the purposes of providing a real-life example, we will use baseball below. enhanced peripheral awareness– Detect someone stealing a base. vision-balance integration– Balance relies on vision, and most aspects of sports performance can be improved with better balance. visual reaction time– As the 90 mph baseball comes flying at you, every improvement in the time in takes to react to visual stimuli is essential. depth perception and distance estimation– Assess more accurately and quickly the speed and distance of a moving object. focusing– rapidly change focus from far and near, such as a quick transition from getting the ball from the glove (close work) to throwing it to first base (far). Contrast Sensitivity– Improved contrast improves the ability to see the ball against a white sky. Baseball requires better than 20/20 vision. In fact, the vast majority of MBL baseball players have better than 20/15 vision. Odds are that if you can’t see at least as well as 20/15 then you aren’t going to make it into professional baseball. And it’s more than visual acuity which makes a great baseball player. You have to be able to see where the ball is in any background, and accurately gauge where and when to swing, pitch, and throw. This requires exceptional depth perception and contrast sensitivity, amongst other visual skills. At the Collierville Sports Vision Center, we work with aspiring and professional baseball athletes to hone and enhance their athletic visual skills through advanced Sports Vision Training techniques. Athletes at the Olympics with the best visual systems achieved more medals. 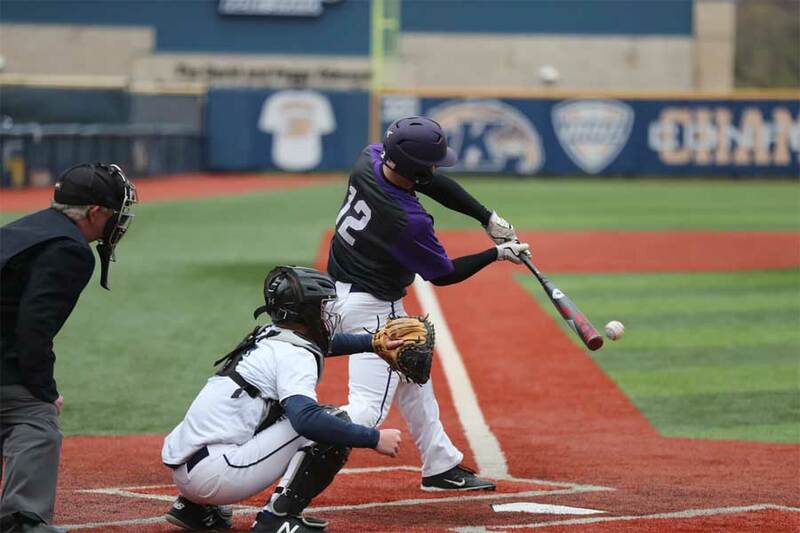 A study of the University of Cincinnati baseball team showed drastic improvement in the batting averages of players following six weeks of various kinds of vision training. The team batting average went up 34 points from the previous season, exceeding improvements of other N.C.A.A. teams. Errors decreased by 15 percent, while fielding assists increased 8 percent. Across all tracked batting parameters, vision training showed improvements of 10% or more. Another study conducted out of the University of California Riverside tested the effects of Vision Training on real-life applications with their own college baseball team. The athletes on their baseball team were able to improve by 30 percent their reading of eye charts — as well as their batting averages — after completing more than two dozen 25-minute vision training sessions using a computer program. According to the study “trained players showed improved vision after training, had decreased strike-outs, and created more runs”. Dr can help you stay at the top of your game. Numerous studies have tracked the benefit of Vision Training for Athletes from many different sports. Some of the sports that have shown improvement in performance are: Hockey, Table Tennis, and Golf, Rugby, Soccer, Tennis. For sports with rapid movements, the athletes who have undergone sports vision training have a significant advantage over their competition.